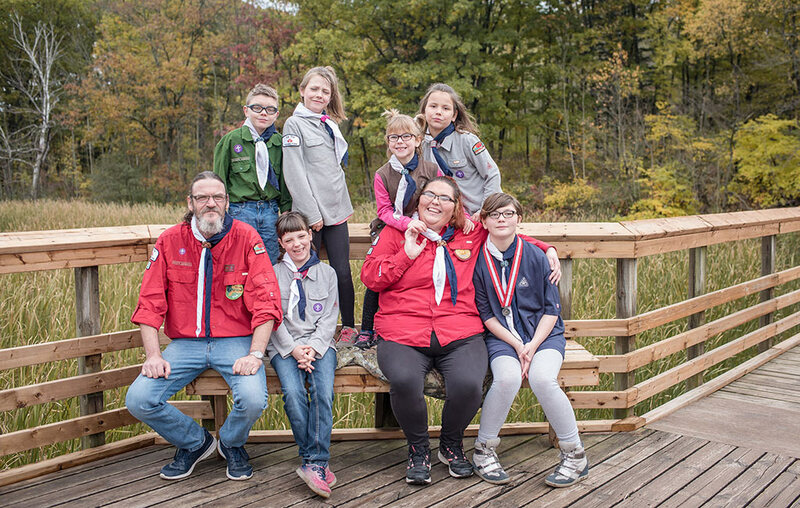 Together, Scouters Paula and Wayne Daley share a valuable connection to Scouts Canada. With 6 children between the ages of 6 and 13 in the program, the Daleys are an outdoor-loving, adventure-seeking family who have benefited from of our No One Left Behind program for the last 4 years—in addition to being dedicated members of the Scouting community for many years prior. Paula and Wayne’s children – Lucy May, James, Caitlyn, Phillip, Faith and Khloe Rose – have each flourished in their own unique ways through Scouting. Being outdoors – connecting with nature, learning new skills and burning off energy – has been particularly advantageous for two of the Daley children who have ADHD/ODD1, and ADD2 respectively, as well as for two of their daughters who are selectively mute. Both Paula and Wayne strongly believe that being involved in Scouts Canada’s programming has brought out the best in each of their children. “They’ve worked hard, and are proud of their accomplishments,” says Paula, “every badge represents a step they’ve taken to becoming a more empowered and more confident person”. Scouting has become the only extracurricular activity that the Daley children have. 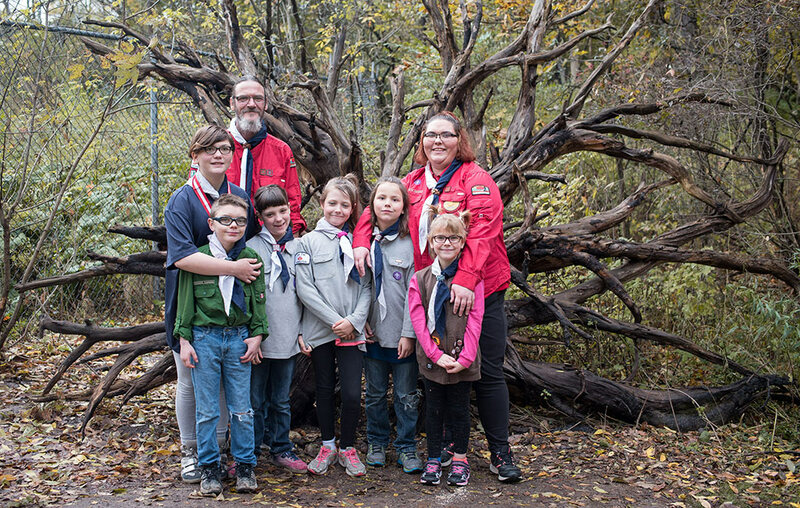 “Without it,” says Paula, “they would lose their joy, their outlet, their friendships.” Paula and Wayne have seen the impact that Scouting has on their kids, as such, they’ve decided to give back to Scouts Canada – an organization that has given them so much over the years – by becoming Scouters. In the 2018/19 Scouting Year, Scouts Canada is aiming to raise $500,000 for No One Left Behind program, providing families facing economic barriers with full access to the Scouting experience they deserve and giving all youth an opportunity to build a positive future for themselves and the world. Last year, with help from our generous supporters, Scouts Canada was able to register 3,224 Canadian youth through No One Left Behind subsidies, enabling growth in leadership, self-development, community engagement, environmental consciousness and active living through adventure. While Scouting is quite affordable for some families, there remain more than 3,000 youth from across our country whose families face financial obstacles, hindering their opportunity for participation in our youth-led programming. With our No One Left Behind program, Scouts Canada is able to provide all youth with the guidance necessary to find their way forward, match skills with their interests and ensure that they receive the mentorship required to discover their potential. For more information on how you can support No One Left Behind, please contact the Scouts Canada Giving Team at giving@scouts.ca or follow this link to make an online donation. Thank you for making a difference in the lives of Scouting youth! CJ’17 — What’s in my bag?